So the holidays are coming, and it’s a time of fun and happiness and joy. But like so many other things that don’t go smoothly with autism, autism and the holidays can present unique challenges. Joy to the world, right? I bet sometimes it feels like joy is for other people. I know it used to feel that way to me. For me, the holidays used to be a time filled with dashed hopes and depression and anxiety and frustration. I know I was not alone in feeling that way. How about we start a little sooner, and this time we say, “Well, maybe this year,” and we take steps to make it happen! So instead of charging into the season the same way we did last year, let’s make some strategic, conscious changes at the beginning of the season. 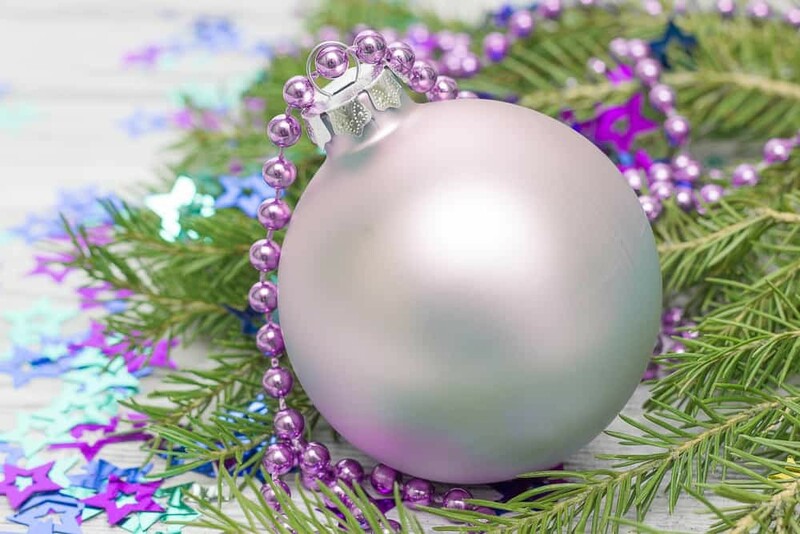 I wrote a holiday post last year, “Short and Sweet List of Suggestions for Surviving and Thriving with Autism during the Holidays.” In that post, I give some tactical solutions for how to manage. This year, I want to dig a little bit deeper. I want to talk a lot more about how to manage expectations and relationships in order to avoid frustration and finally achieve a fun, happy, joyful season. Because autism and the holidays should fit like a well-loved pair of gloves–a soft, warm, fuzzy, comfortable pair of gloves. What is the Cause of Our Frustration? Well, you might be thinking that the cause of your frustration is that things don’t go well. Or that as a result of having autism in your life, you can’t plan, life is too unpredictable, or you just can’t get ahead. And you know that autism and the holidays are just going to exaggerate those difficulties. So, as a society, we have this saying that when something happens to us, we can’t necessarily control what happens, but we can control our response to it. When I hear this saying, what I hear is that we’re going to take a reactive approach, an after-the-fact approach, to how we respond to events in our lives. In doing so, we’re making choices or acting or experiencing emotion after something has already happened to us. You may have already guessed that I despise this saying. Despise it. Because it assumes that we are not in control. And, of course, to some extent, we are not. But to the extent that we can be in control, let’s do it! Frustrations are often the result of unmet expectations, not the experiences we actually have. How many times have you seen children come home from a party, frustrated and disappointed? And how many of those times was their frustration and disappointment the result of unrealistic or uncommunicated expectations rather than the inadequacy of the party? Yeah, things did not go the way they expected, but what if they adjusted their expectations prior to the event? It is not so different for us as adults. We often have expectations, or maybe just hopes, that things will be different this time. But in reality, unless we do something differently, our outcome is most likely going to be the same. We have to manage our expectations. No, I am not telling you to lower the bar or to settle for less than what you want or deserve. I am suggesting that by managing your expectations and communicating them to others, you will be able to make adjustments and plans before frustration and disappointment ensue. Make conscious choices. Know where you are willing to roll with the punches and where you’ll avoid them. By setting expectations, you will be able to prepare and plan in a new way that opens the door to greater satisfaction, maybe even, dare I say it? Events and activities may not change, the behavior of others may not differ, but you can approach all of these things with the right mindset. A mindset that enables you to see, feel, and experience success. So what do we have to do differently? So first of all, I want you to know what your expectations are, or maybe a better way to say it is to know what you hope for from the holiday season. Is it that you want to have fun? Go to parties? Spend some much-needed down time at home? This is all you, what you want. If you need to, get out a piece of paper, sit down, and write these expectations and hopes down. If you have kiddos, help them define theirs. When I first started doing this with my kids, I was stunned by how frequently their expectations were way too big or just unrealistic. Often they hoped the behavior of others would change – an almost certain path to disappointment. I had in the past seen them experience disappointments I did not understand, and this activity made clear the root cause of those frustrations. Even better, establishing right or realistic expectations results in satisfaction and contentment. Next, communicate those hopes and expectations to the people around you. As much as you may want others to know you well enough that they know what you expect and hope, they’re not mind readers. Just because you know what you expect, doesn’t mean that they know what you expect. No matter how much you want them to. As I point out above, because my kiddos had not been encouraged to communicate their expectations, I could not understand their disappointments. Just so, if you do not communicate yours, others cannot be expected to know them. If I am not reminded to communicate, I forget. If I have something worked out in my little head, I check the box and call it done. I forget that others need to be involved, so I work with those around me to remember to communicate! Have you ever wanted a particular gift for a birthday or holiday, and you made subtle hints, and you hemmed and hawed, and you stared at it really hard at the store in front of people so they would see you look at it and from this behavior, you felt that they should know what you wanted? I bet you felt that after all these efforts, you had in fact communicated what you wanted and that others, if they cared about you, would have picked up on your communication and gotten you the gift. And at your birthday, or at Christmas, when you did not get that gift, you were totally frustrated because you expected them to step up and understand what you wanted. You’d given hints, you’d shown signs, you’d made clear, but you never explicitly said, “I want this.” And so, you ended up frustrated, because people should love you enough to know what you want, right? Or maybe you were on the other end of this type of situation. Maybe you were the person who didn’t pick up on this form of communication and faced the wrath of the person who expected a gift you did not purchase. Want a particular gift? Tell someone or maybe put a list on the refrigerator, and tell the person the list is there. If you have kiddos, teach them to talk about their wants and needs. Teach them to do it in a way that does not look greedy or selfish. But realize that communicating these things in the right way results in met needs, increases in individual self-esteem, and stronger relationships. 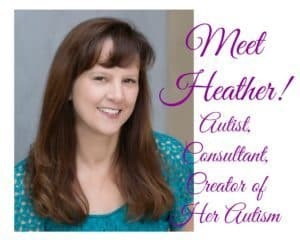 You can read my post, “Autism and Accountability: How to Know When to Hold an Autistic Child Accountable.” The same principle applies here and not just to relationships with children, but to all relationships. If you want others to communicate to you, you have to teach them to do so! As a little girl and even as a young adult, I experienced TONS of confusion and disappointment over the gifts others gave me. The gifts screamed to me that these people didn’t know me at all. They made me feel like no one understood me. I never communicated to others what I needed or wanted in such a way that they could understand those needs and wants. I genuinely did not know I needed to do that. No one had told me! Now I am polite, but direct, and not just in the context of gifts, but in the context of life. If I want others to know something, I have to say it. Once you have communicated your expectations, give the other people involved an opportunity to share their expectations and hopes. If they don’t know this conversation is coming, they may need a bit of time to think it over. Also, know that their expectations may be different or even conflict with yours, or maybe they will not make sense to you or seem important. This step is so important in the context of relationships between people who are neurotypical and neurodiverse. If you want to fit autism and the holidays both into your life, you have to know what others think, need, and want. Where individuals experience the world so differently, they cannot/should not be expected to intuitively understand the needs/wants of the other. Good communication requires explicit sharing. And maybe more than once. What if the expectations of everyone don’t match up? Okay, maybe not super, but so much better to flush out this disagreement or conflict prior to experiencing unmet expectations or dashed hopes. Now you have time to adjust your current expectations, develop new expectations, or decide whether you need to spend time/energy with people whose expectations are more in line with your own. You are proactively determining how to handle the events that are coming your way rather than responding to them after the fact. As hard as this may be, it sure beats experiencing disappointment in the moment you hoped those expectations would be realized. Once you have adjusted your expectations (which I really hope you recognize as a sort of goal-setting step), set a plan of action for meeting them. Know what you are willing and not willing to do, determine where you can avoid frustration, and pave the way for fun, happiness, and joy. What if you wanted, for example, something expensive for Christmas, and you communicate that to others? You may experience disappointment, especially if it is something you really want. You might feel resentful and have some issues to work out with your SO. But, on the other hand, you now know that he/she knows that you wanted the gift, have heard that he/she wants you to have it, and have a plan to get it. This outcome is, at least in my humble opinion, way better than waking up on Christmas Day devastated and feeling like your SO didn’t listen and buy what you wanted. In fact, you can go one step further, and you can agree how the holiday is going to look. Maybe you could agree to buy a less expensive gift in an effort to save for what you wanted in the first place. The point is, though, you will know going in exactly what you can expect. I would argue that most people don’t allow time for this type of communication, thinking that their relationship is strong, and that they know what those around them think. The miss is that in a strong relationship, parties acknowledge that without communication, these things, the little details (or sometimes not-so-little details), get missed and frustration ensues. When we know what our expectation is, we communicate it and talk to someone else about it, we can adjust it and have expectations that are going to be met. And meeting expectations results in diminished frustrations. Greatly diminished. Maybe to the point of elimination. YES! This process works in so many different contexts that will arise in the coming months (again, in life really!). Going to an event at the home of a relative where predictably an extended family member causes drama? Work together with your SO, date, or family to decide in advance how you are going to handle the inevitable. Maybe you will agree to avoid the individual at the event, support each other in the face of conflict, leave the party early, or not go at all. Up to you, but use this process to decide how you will handle it. Wanting to go to more or fewer events than the rest of the family? Work together to determine in advance who will go to what, which events are important to everyone, and why and make decisions accordingly. Does one of your kiddos inevitably have a meltdown at a holiday event? Have a plan in place to address it. Maybe at a particular party or function that is important to you, you agree that your SO will manage any disruptions. Maybe you know which functions result in these meltdowns and decide not to take your kiddo to that one or not to go at all. Have family members who judge you for being autistic or having autism in your family? Work together through this process to decide how you will let or not let those people impact you as you get through the season. These steps will move you from a place of experiencing frustration and looking back wondering what went wrong to a place where you are proactively setting yourself up for success! So Plan Differently And Have A Great Time! As you plan how to enjoy this holiday season, work to determine what you want to do, how you want to do it, identify trouble spots, and apply this process to all of it to determine how best to do more than just get through it. Identify your expectations and hopes, communicate them to others. Listen as others share theirs with you. Adjust or agree on what you want to expect. Determine how to meet these expectations, and go have a great time! 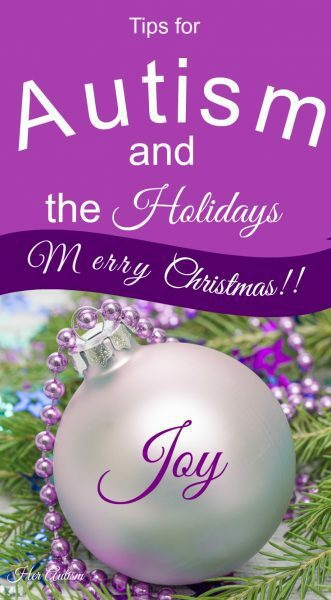 Because even though it doesn’t always feel like it, “Joy to the World” means you, too! 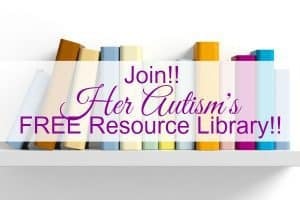 Live Life to the Fullest with Autism!Check out our FREE Resource Library! !